An intimate look at the fabled Mexican resort town, from beyond the hotel compounds and beaches. Más Que La Playa is an international co-production commissioned by the Sister Cities of Highland Park, Illinois and Puerto Vallarta, Mexico. The film is co-directed, co-produced with Puerto Vallarta filmmaker Sebastian Hernandez Alvarez and had its premiere at the Puerto Vallarta centennial in May 2018. 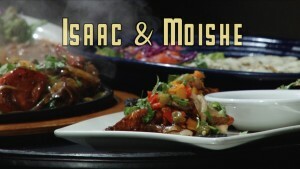 Serving up Kosher-style Mexican food in suburban Chicago for ten years, Isaac and Moishe Nava are living the American Dream. Chef and inventor Homaro Cantu helped put Chicago on the culinary map and wanted to change the world. INSATIABLE takes you on a dizzying and thrilling ride with Cantu, in a story that moves from redemption and inspiration to tragedy and back again. For nearly three decades, Ann Slavick taught high school art and art history, where she inspired thousands of young people to tap their creative abilities and immerse themselves in the visual arts. From the front lines of the bankrupt Chicago Tribune, to the vibrant local online publishing and start-up scene, pioneering journalists struggle to reinvent a storied, yet troubled industry.